1258/1259 Mongol attacks against Danylo of Halych, led by Burundai. 1273 Mongol twice attacked Novgorod territory, devastating Vologda and Bezhitsa. 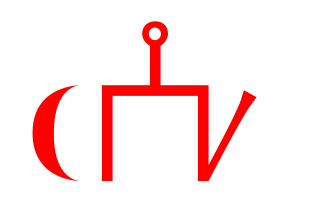 1275 Mongol invasion of south-eastern Rus', Kursk pillaged. 1278 Mongols pillaged the Ryazan Principality. 1282 Mongols attacked Vladimir and Pereslavl-Zalessky. 1283 Mongols sacked Vorgolsk, Rylsk, and Lipetsk, overrunning Kursk and Vorgol. 1285 The Mongol warlord Eltoray, the son of Temir, pillaged Ryazan and Murom. 1293 The Mongol warlord Dyuden came to Rus and pillaged fourteen towns, including Murom, Moscow, Kolomna, Vladimir, Suzdal, Yuriev-Polsky, Pereslavl-Zalessky, Mozhaysk, Volokolamsk, Dmitrov and Uglitch. During the same summer Takhtamir looted the Tver principality and took slaves in the Vladimir principality. 1480 The Great stand on the Ugra river marks the end of the Tatar-Mongol yoke in Russia. Full Collection of Russian Annals, St.Petersburg, 1908 and Moscow,2001, ISBN 5-94457-011-3. 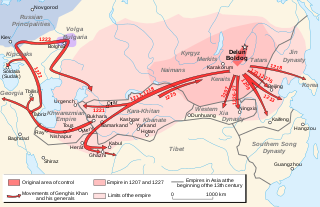 The Mongol invasions and conquests took place during the 13th century, creating the vast Mongol Empire which by 1300 covered much of Asia and Eastern Europe. Historians regard the Mongol devastation as one of the deadliest episodes in history. In addition, Mongol expeditions may have spread the bubonic plague across much of Asia and Europe, helping to spark the Black Death of the 14th century.